Immerse yourself in the power of the symbolic imaginal world by discovering personal imagery through the exploration of dreaming. We will honor the Goddess Swapneshwari to open the portal of Dreaming; Goddess Yoga Nidra for awakening, and Psyche to integrate the soul.This course will combine movement/ stillness practices, with mythology, ritual creativity and Jungian depth psychology. Mystery surrounds the 64 Yoginis; believed to be living women who were then deified. we ignite their names through mantra to remember the yoginis, our forgotten ancestors, great grandmothers, and each other. In this course, we will chant and learn the names of one group of 64 Yoginis as remembered by the Himalayan Tradition. Vocalizing their names, we unite our powers of imagination and inner wisdom to remember the many facets of her precious gem. To remember this circle of names we greatly benefit from the support of others on the same path. For many of us, the learning process can be linear and lonely; while alone time to immerse ourselves in practice is necessary. The nature of chanting her names creates a great mandala to remember all of her and in turn all of our ourselves. Join us in community for a dedicated 4 week practice. Meeting Dates: April 10, 17, 14 & May 8 (we will skip the first week in May). Times: 8:30am Pacific/ 10:30am Central | Approximate meeting time 1hour. 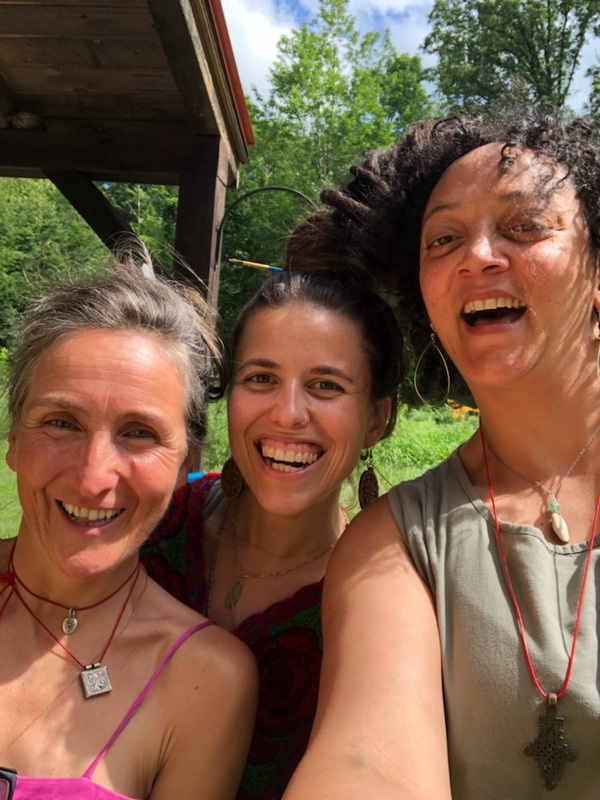 Our meetings will consist of learning chant, embody and pronounce the Names of the 64 Yoginis, creative practices to support your learning and time for questions and insight. Each week you will receive a link to our Zoom call. After the call is done we will send you the recording and any additional creative practices. Dates: Monday September 23rd 3pm- Wednesday September 25, 2019 3pm at Elohee Bald Mountain Center. Separate Tuition + Room and Board applies. The Daśa Mahāvidyās, Ten Wisdom Goddess were ancient women whose powers and stories “represent what is hidden, secret, subtle and sensitive, what has to be searched out and discovered” David Frawley. Through the process of discovering the subtleties of the Goddess, she becomes alive within us. 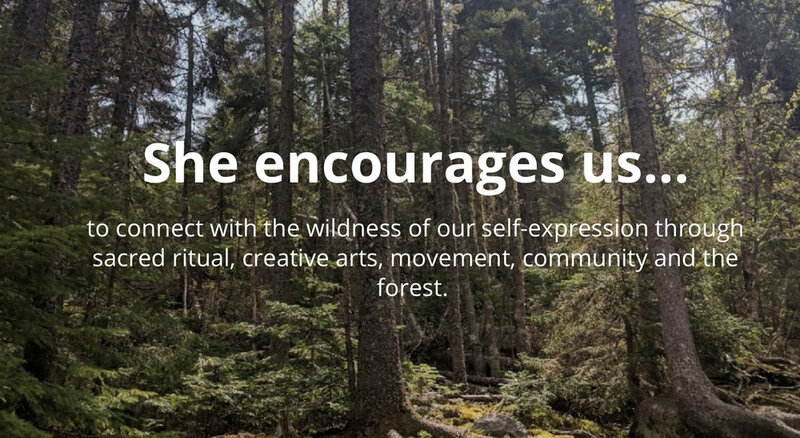 It is by way of the creative practices of mantra, yantra, storytelling, movement, ritual, meditation and self-inquiry, we humbly petition her to be our guide as we further our self-study. To engage in a relationship with a wisdom Goddess is to collaborate with the parts of ourselves that are still a mystery. Unveiling those mysteries elicits an everlasting bond with our psyche, and with the powers the Goddesses reveal. For the past two years, part of my morning ritual ends with the question “who are you?” It is how I connect to the ever-changing mystic which can’t be rationally understood—what I feel is divine presence. Time in that creative void brings forward these images which have connected me to my femininity, informed me of my doubt and continue to support my dialogue with what remains unknown. She Wisdom is about connecting to the Divine within yourself—a journey to start your own conversation or prayer with Source. March's New Moon creativity ritual will focus on the Runes and contemplating a continuous pattern. All previous creativity rituals are available and always free! 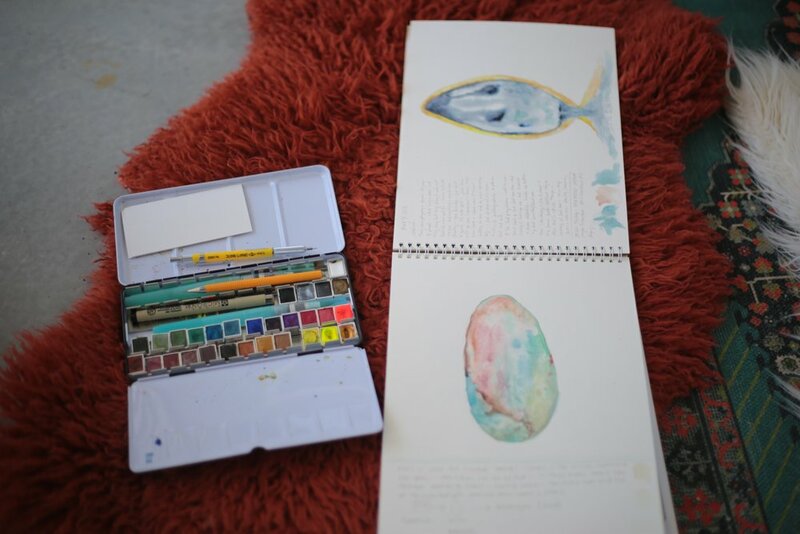 You need minimal supplies, no "art" skills at all, just an openness to play. Donations are welcome. Our practice of Sacred Art painting will start with a short meditation. 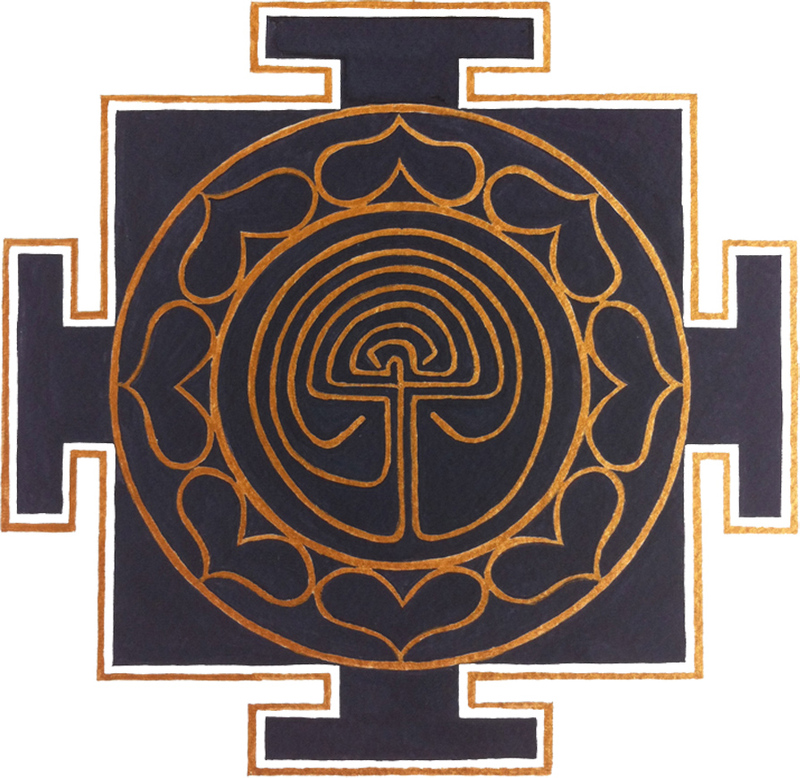 Then you will be led into the creative process of Yantra drawing & painting. 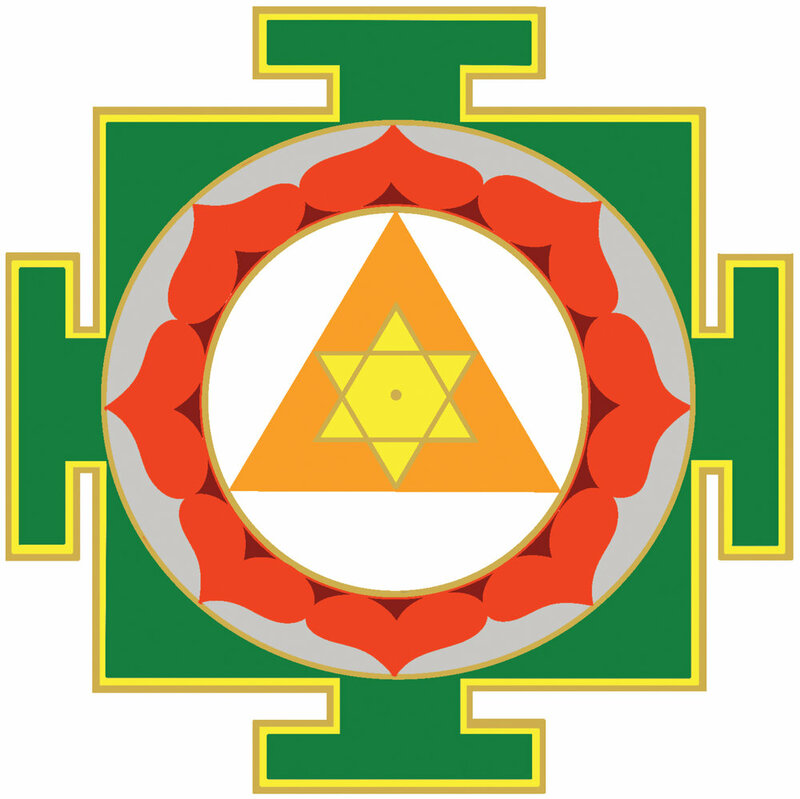 We will learn the meaning of the different parts that make up the Gayatri Yantra. The construction (drawing and painting) of the yantra will take us deeper into the feeling of devotion, meditation and sacredness. You definitely do not need to define yourself as an artist to attend this workshop. Chanti is familiar with welcoming students of all artistic abilities into her classes. She will show you how to create a yantra using accessible methods and tools. The creation process itself is a meditation. 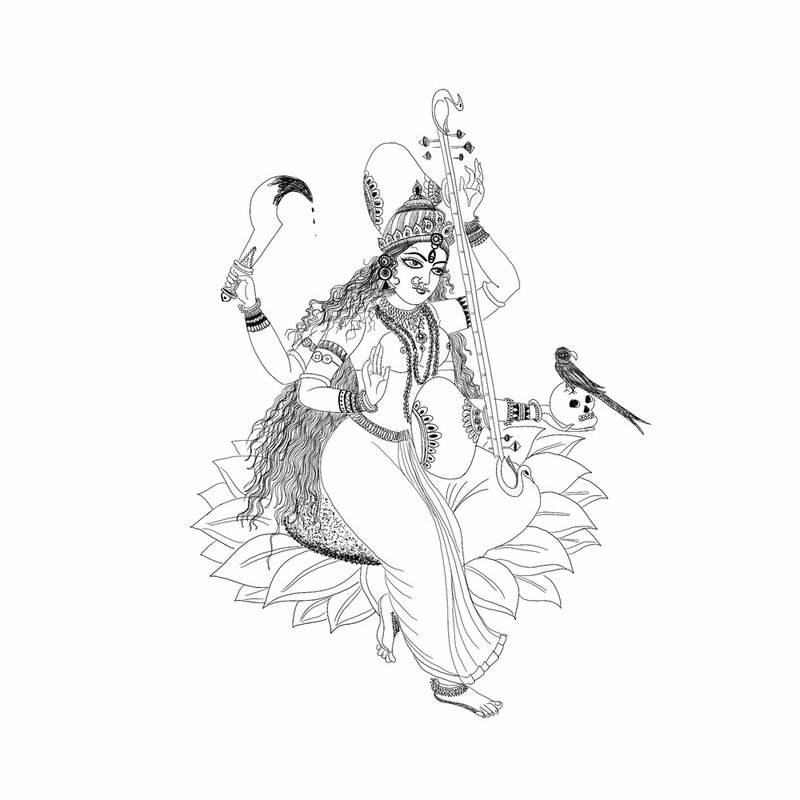 Gayatri is seen and experienced during sunrise and sunset, a sacred time of ambiguity and power when her mantra is sung. Gayatri is the Goddess of collective wisdom and is honored as the light of learning. She protects us as we aspire towards deep inquiry for Self-realization. Creating the Gayatri Yantra illuminates our path on that inner journey. Cost: $149 for 9 hours. Additional materials fee of $10 to be paid directly to Chanti on the day of the workshop. Grateful Yoga members receive 15% off. Some partial scholarships are available for those in financial need- just ask! We will discuss and chant Gayatri Mantra and more. The yantra construction will take place over the course of two days interspersed with time for chanting and meditation practices. Snacks and tea will be provided. Traditional rituals are often performed by lineage holders with “power” and “authority,” leaving those who identify with more than one tradition or none at all, feeling left out. Carl Jung believed that myths could express and shape the psyche; ritual allows for a collective to experience that myth, and the individual to encounter the Self. Participating and practicing ritual amplifies our current necessity to remember our true nature and share our discoveries. In this gathering we will look at the architecture and alchemy of ritual and together create something that moves us towards a greater presence. With presence and reverence discover the power of ritual and learn to weave it into your every day. Welcome women, sisters, anyone who identifies as female, to Prema’s first 2019 monthly women’s circle. 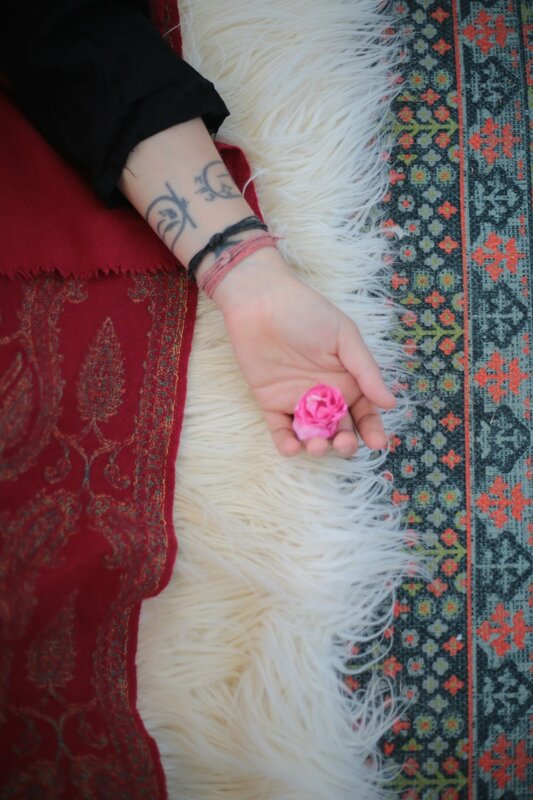 Join Chanti Tacoronte-Perez as we explore, contemplate and collaborate the importance and meaning of ritual. Cost: By donation, give what you can. Not sure what to offer: suggested donation $20. Space is limited. Please click the link below to reserve your space. It will send an email to us, and you can make your donation day of event. NEW DATES: Our new dates are Jan 16, 23, 30 and Feb 13th, (we will skip the first week in Feb). The practice of Shiva Sankalpa Suktam can be the necessary support we need to literally sit, and become still--enabling our Self to be heard. The learning and recitation of this mantra can also be a support for those who desire to learn longer more complex mantras. To learn and bring to practice this hymn by heart, we greatly benefit when we know there are others on the same path. For many of us the learning process can be linear and lonely. While alone time to immerse ourselves in practice is necessary, it’s also beneficial to engage with a community willing to support. Meeting Dates: Our new dates are Jan 16, 23, 30 and Feb 13th, (we will skip the first week in Feb). Our meetings will consist of learning to pronounce the Shiva Sankalpa Sukta verse by verse, creative practices to support your learning and time for questions and insight. Each week you will receive a link to our Zoom call. After the call is done we will send you the recording and any additional creative practices. Embark on a discovery of your Self through the architecture of subtle anatomy. The chakras are a system of unfolding awareness that can be experienced creatively by way of mantra, yantra and meditation to facilitate the tantric wisdom each chakra holds. The architecture of each Chakra, as yantra will be learned via the creative practice of yantra painting. The combined effects of the workshop will give students a whole education on various ways to incorporate the wisdom of the chakras in their individual practice as well as in their current teaching. How to draw and / or paint a chakra. 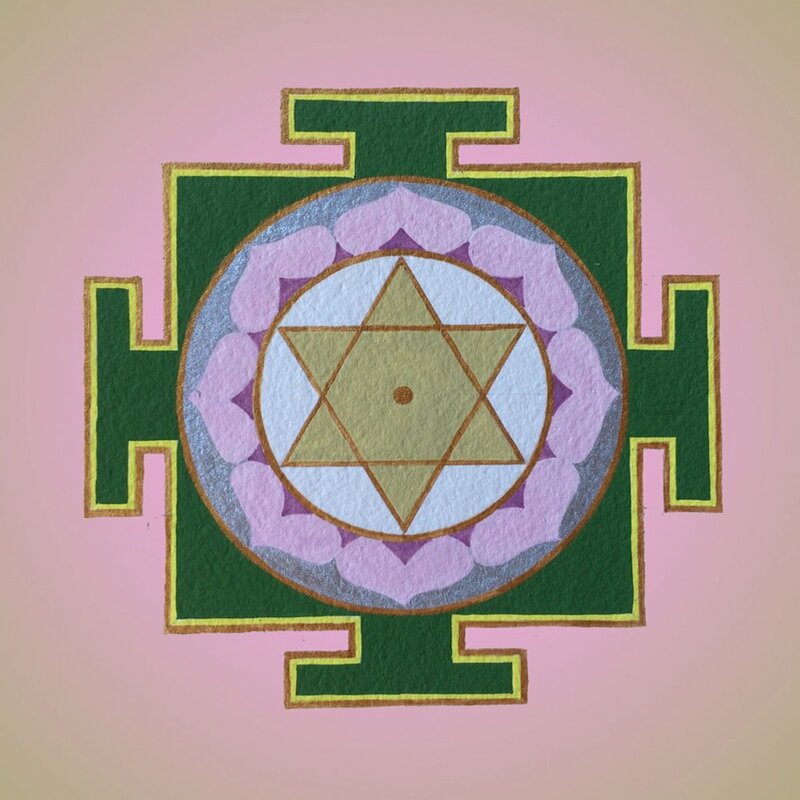 Become familiar with the tools used for yantra painting: compass, ruler, paint, brushes, simple painting techniques and basic color mixing. The sanskrit alphabet and the sacred lotus: learning the sanskrit alphabet and it's relationship to the chakras. Archetype of each chakras as life cycle. 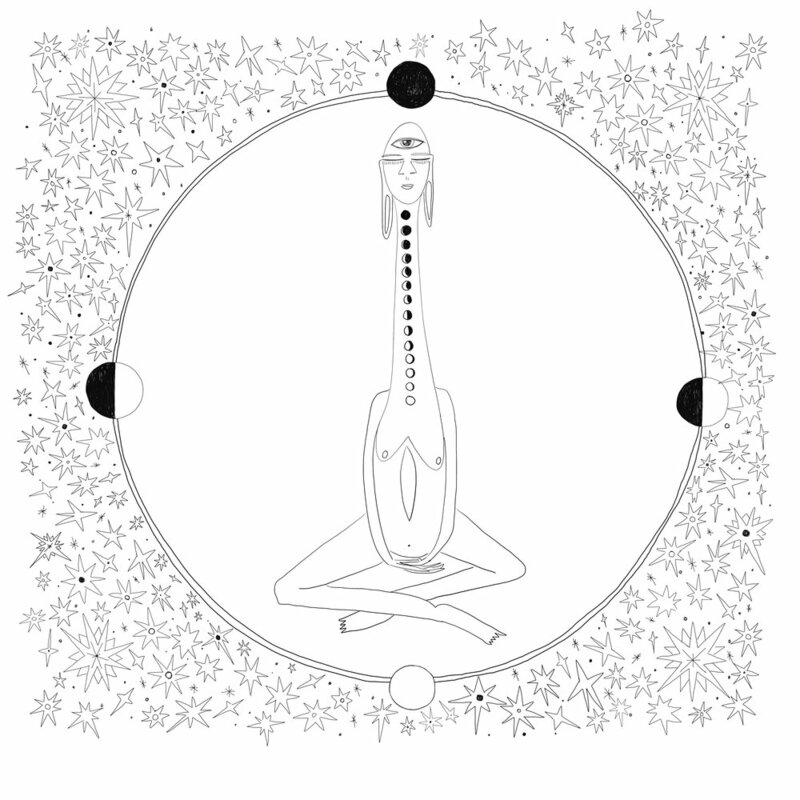 To create a set of chakra cards for use as a study/ practice tool. A Chakra Coloring Journal to use during class and as you continue to explore these subtle energies. Airfare, lunch, personal travel within Ubud, airport transfers, treatments and tips. Soulshine Bali - Hotel and Yoga Retreat Oasis: The culture of Bali from Soulshine Bali on Vimeo. The Goddess is revered, adored and worshipped all around the world. In this 9 week course, we summon various embodiments of the Goddess—through the different emotions (love, anger, joy, disgust, wonder, sadness, peace, fear, courage) we invite her to touch us. Participants will learn about their individual mythologies, iconography and discover how to strengthen ourselves as women and collaborators of a greater circle of divinity. When we explore our bodies with movement, our voice through song, our hearts though yoga nidra, our hands with creativity and our sleep with dreams, we enrich our connection to the Goddess and each other. Digital Option: Class recordings (MP3s) are available for those who do not live in the area, and still want to be part of our group. You will have the option to sign up for DIGITAL ONLY at the checkout. Please bring: A notebook and pen to take notes. Weekly assignments for personal growth and practice will be given out. Cancellation & Refund Policy: No refunds. Join us in community for a dedicated 6 week practice. Times: 8:30am Pacific/ 10:30am Central | Approximate meeting time 1 hour. Recitation of these mantras allows us to enter the field of life with complete enthusiasm, radiance and confidence. They represent the masculine complement to the sixteen mantras of the Sri Suktam. 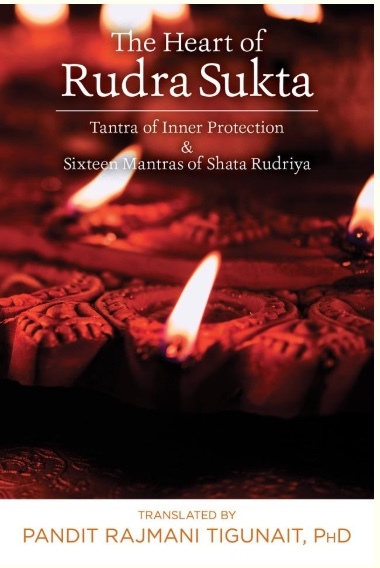 Originating from the 16th chapter of the Yajur Veda, these essential mantras work to awaken the energies of inner protection – to free us from fear and uncertainty and to move us towards that which is eternal, the life force itself. Our meetings will consist of learning to pronounce the Rudram verse by verse, creative practices to support your learning and time for questions and insight. Each week you will receive a link to our Zoom call. After the call is done we will send you the recording and any additional creative practices. Join Ganesha Yantra Tutorail from Yantra Wisdom on Vimeo. For the months of May & June this tutorial is available by donation—give what you can! It is my wish that more of us spend time in creative contemplation. 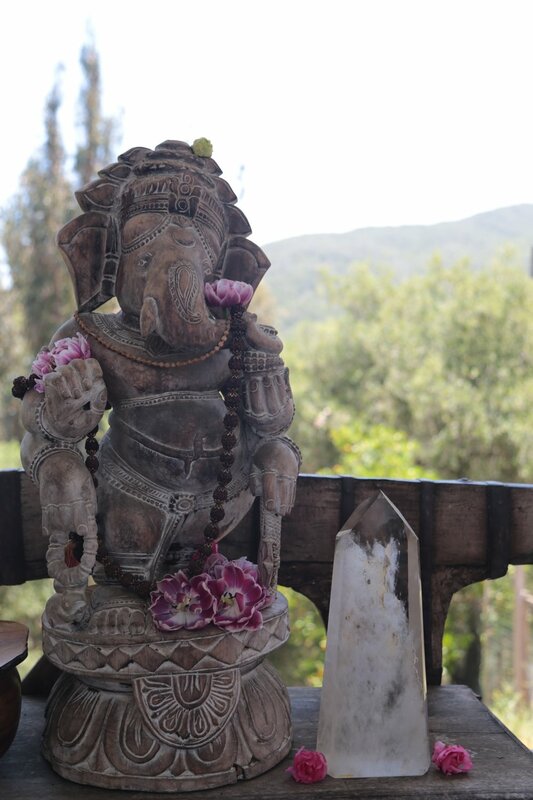 As a way to keep connecting with Ganesha, you will also receive audio files with a story, a Yoga Nidra and one of Ganesha’s mantras to chant along to while you draw, color or paint. Bonus watercolor paint tutorial (downloadable video) For those who donate $27 or more you get your very own color pallet to use to paint your yantra. This includes all the colors to complete one yantra. YES, the colors will come in the mail! YES, even silver and gold. Everyone gets this tutorial, it will just emphasize how to use these specific watercolors. To learn and bring to practice a 16 verse hymn by heart, we greatly benefit when we know there are others on the same path. For many of us the learning process can be linear and lonely. While alone time to immerse ourselves in practice is necessary, it’s also beneficial to engage with a community willing to support. Times: 8:30am Pacific/ 10:30am Central | Approximate meeting time 1 hour + 30min. Our meetings will consist of learning to pronounce the Sri Sukta verse by verse, creative practices to support your learning and time for questions and insight. Each week you will receive a link to our Zoom call. Description: Survival center. Plain of judgment. Security. The seat of Kundalini Shakti, the basis from which the possibility if higher realization arises. It is the root of all growth and awareness of human divinity. Our practice of Sacred Art painting will start with a short meditation to set our practice intention for the time we have. 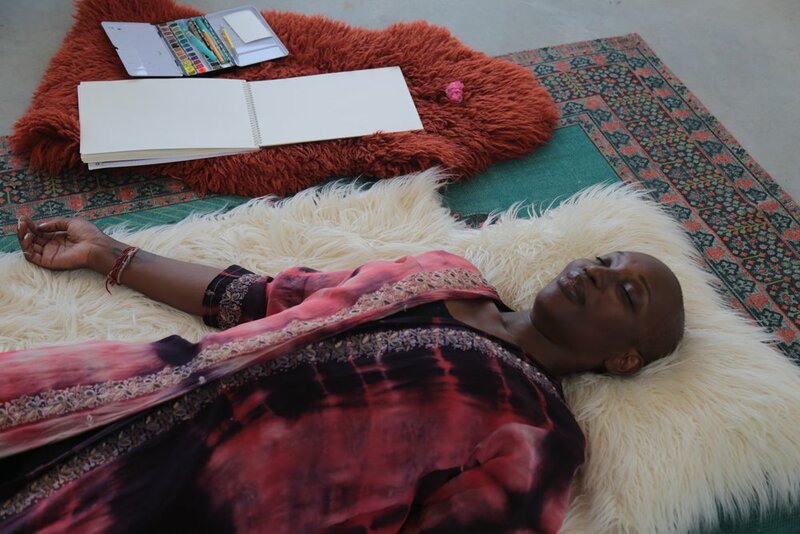 Then we will engage in our creative process of chakra drawing & painting. Learn the qualities and colors of the first chakra and use vedic mathematics to create your own unique mandala pattern around the first chakra. $50 if you have taken it before! ** we take a lunch break next door at an Inidan resturant! In this in-depth workshop we will invoke the wisdom Goddess and accept the challenge to look deeper within ourselves. It is via the process of discovering the subtleties of the Goddess that she begins to work on us. Through the creative practices of mantra, yantra, storytelling, asana, ritual, meditation and self inquiry, we humbly petition her to be our guide as we further our self-study. To engage in a relationship with a wisdom Goddess, is to collaborate with the parts of ourselves that are still a mystery. Unveiling those mysteries elicits an everlasting bond with our psyche, and with the powers the Goddesses reveal. Each class will begin with the retelling of the Goddesses’ myth, where students will learn about her symbolic nature. There will be creative take-home practices, to continue on the path of Self discovery. Digital Only Option: Class recordings (MP3s) are available for those who do not live in the area, and still want to be part of our group. Make-Ups: If enrolled for the entire series, we will send you the MP3 of the class if you are absent. For those who donate $27 or more you get your very own Peerless Watercolor pallet to use to paint your yantra. This includes all the colors to complete one yantra (9cm radius). YES, the colors will come in the mail! YES, even silver and gold. No extra Shipping cost! 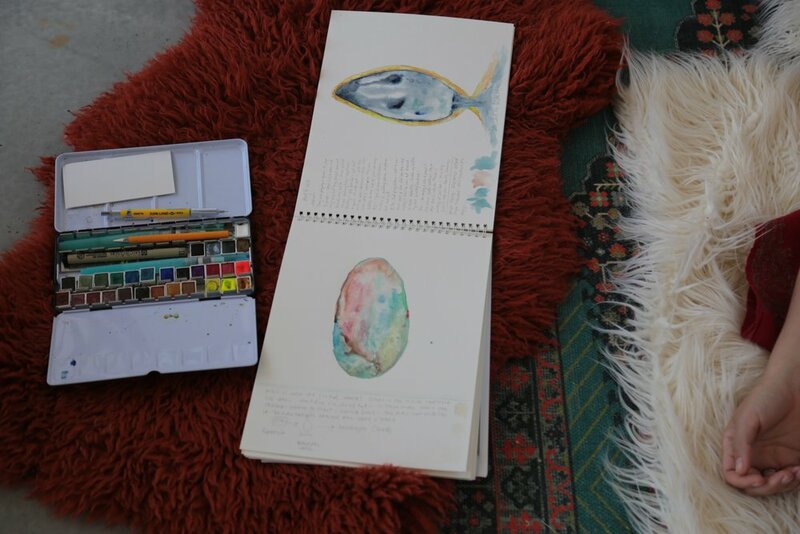 As a way to keep connecting with Mrityunjaya, you will also receive audio files with a story, an intentional relaxation and the Maha Mrityunjaya mantra to chant along to while you draw, color or paint. For the month of March this Tutorial is available by donation—give what you can! It is my wish that more of us spend time in creative contemplation. Bonus watercolor paint tutorial on how you can paint the yantra, to inspire you. Tara E-Zine with construction tips, mantra, color chart, making a sacred space and more. *Supplies you will need: paper, ruler, pencil, compass and an eraser. Any colors you want to use: crayons, paints, watercolors, colored pencils. 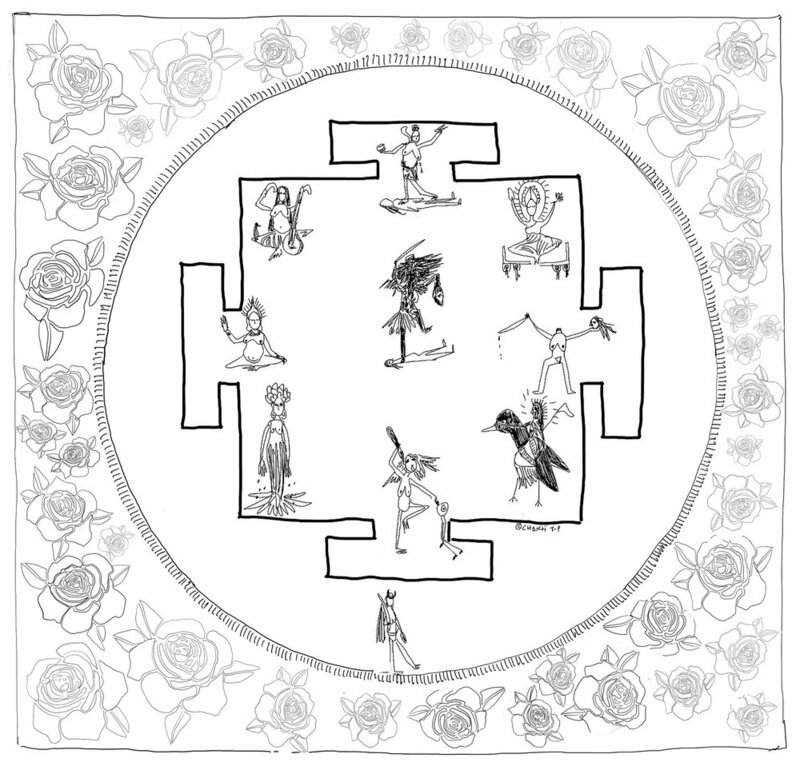 You can find the prescribed colors to finish your yantra in your Zine. If you are getting the bonus colors, please note you will need a paintbrush (more info on paint brushes in your zine). Welcome in 2018 with Tanya & Chanti in this half-day retreat designed to set your heart's desires into motion for the coming year. Let go of the patterns you DON'T want to repeat from 2017 and get Shakti-fied to manifest your 2018 intentions. All are welcome! 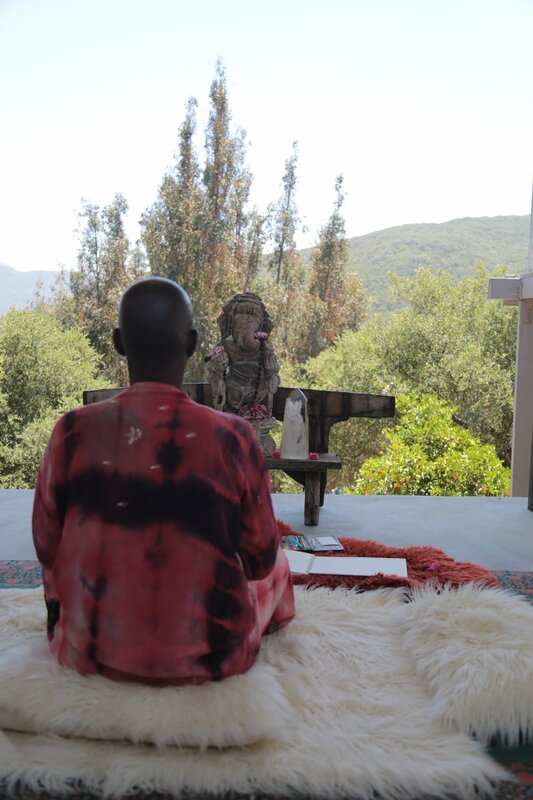 Sankalpa Workshop for 2018 - set your intention for the year! Embark on a discovery of your Self through the architecture of subtle anatomy. 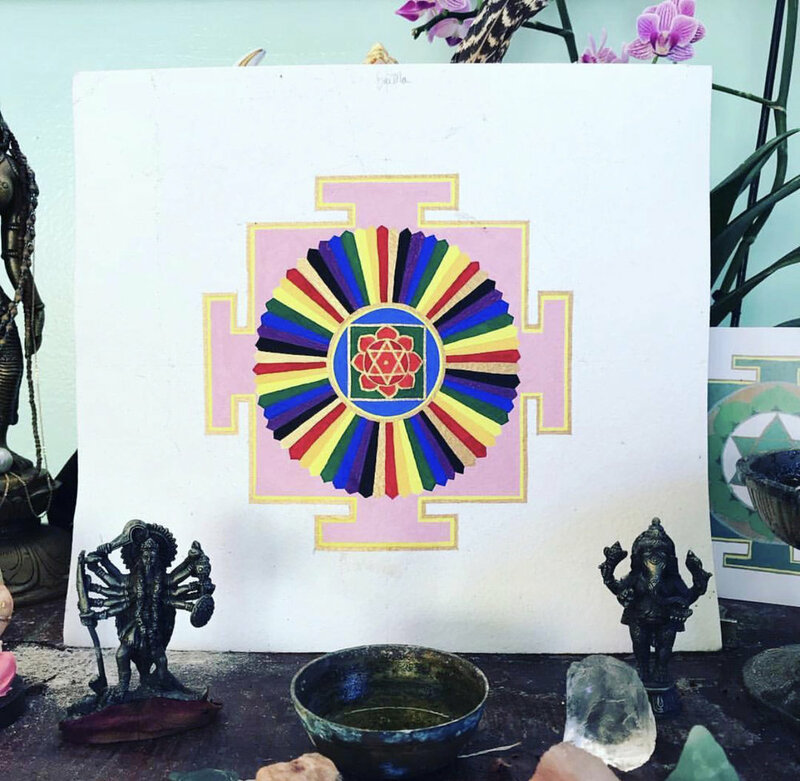 The chakras are a system of unfolding awareness that can be experienced creatively by way of mantra, yantra, meditation, and movement to facilitate the tantric wisdom each chakra holds. In this training students will discover the elemental aspects as well as the physical placement of each of the chakras through the movement, mantra, meditation, contemplation and journaling of the experience. How to draw and paint each chakra. The tools used for yantra painting: compass, ruler, paint, brushes, simple painting techniques, and basic color mixing. Archetype of each chakra as life cycle. The creative part of yourself, that's yearning to be remembered! This is part of a 3-part Workshop to become a Yantra painting teacher over time. 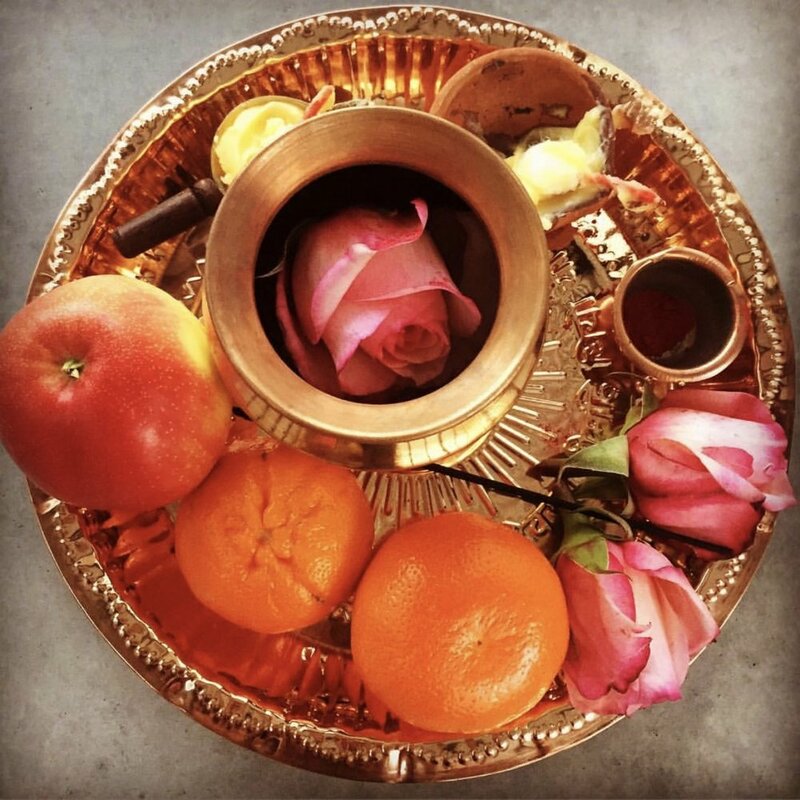 We recommend that you take your time to infuse yourself with the techniques and sadhana that will support your creative growth, as many people discover their own healing via the process of using ancient creative medicine. To facilitate a more educational learning environment, students will have one initial (optional) virtual tutorial, and creative OMwork to familiarize themselves with the basic yantra painting tools prior to the training.